Introducing MyCarDoesWhat.org Techspert… Morgan Price! 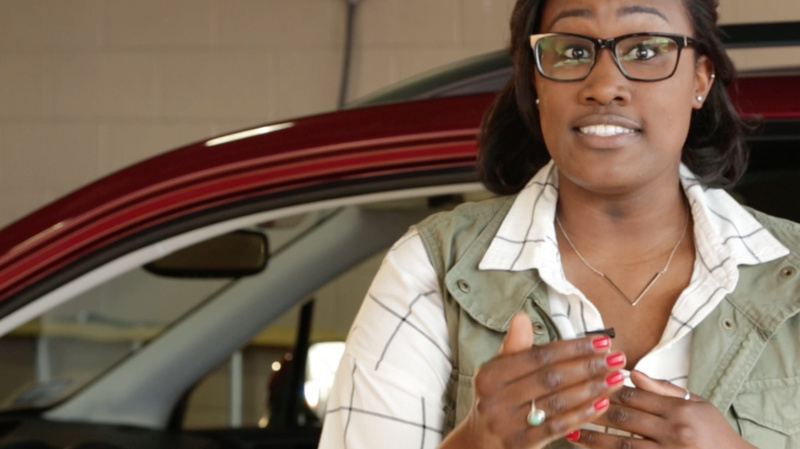 Morgan gives us a quick and easy lesson on Brake Assist, the safety feature that adds additional braking power to your car during emergency stops. For more info see our page on Brake Assist. Morgan is a PhD candidate in industrial and systems engineering at the University of Wisconsin-Madison with additional degrees in biomedical engineering and injury epidemiology. She is currently focused on automotive research, vehicle safety and discovering the secrets behind how humans interact with machines and how they behave behind the wheel. Drivers’ reaction times don’t always match how quickly they need to react to avoid a crash. If Brake Assist notices drivers slamming the brake pedal, it applies maximum force to the brakes to help make sure the car stops as quickly as possible. You brake, it brakes harder. MyCarDoesWhat is brought to you by the University of Iowa and the National Safety Council. Know More. Drive Safer.